Effective October 18, 2018, significant changes will go into effect for the Department of Veterans Affairs’ (VA) needs-based pensions. Those needs-based pensions are available to veterans who served during wartime, or their spouse or widow, who satisfy certain asset and income limits. Those veterans (or their spouses/widow) who are either receiving care in a facility or need help at home with everyday tasks, such as bathing or dressing, may also qualify for an enhanced pension benefit, the Aid and Attendance (A&A) benefit which provides qualifying veterans with a little more than $2,169 a month to help pay for such care costs. The most notable changes include the calculation of and limits to net worth, limits to the primary residence lot size, and a “look-back” period with a maximum penalty period. In order to qualify for the benefit, the veteran (and his/her spouse or widow) must meet certain income and asset limits. There are, however, several allowances which an individual may keep and still qualify for the A&A benefit, such as a home and a vehicle. The new changes do not affect the basic objectives and requirements of the A&A pension, but the changes will be significant for many veterans and their ability to qualify for the A&A benefit. One significant change to eligibility is the hard imposition of a net worth limit of $123,600 (which amount is the same as the current spousal allowance for Medicaid). This applies for both single and married applicants. Before the change, there has been no hard asset limit. Instead, the VA considered whether an applicant’s resources were likely to be sufficient to live off them for the duration of their lifetime. That, certainly, was a difficult standard to plan for and impose. Going forward, veterans (and planners) will know for certain how much they can have in resources and still qualify for the A&A benefit. If their assets exceed the limit, they simply won’t qualify. Another new rule that could significantly impact an applicant’s ability to qualify relates to the applicant’s income. Going forward, the applicant’s annual income (less any unreimbursed medical expenses) will be added to the applicant’s net worth. For example, if an applicant has $115,000 in resources, income of $24,000 and unreimbursed medical expenses of $10,000, the applicant’s net income of $14,000 will be added to his/her resources, bringing his/her total resources to $129,000 and over the cap of $123,600. Under the new regulations, an applicant’s primary residence will remain an exempt (or, non-countable) asset. However, going forward, the allowable lot size cannot exceed 2 acres. If the lot size does exceed 2 acres and there is supporting evidence that the additional acreage is not marketable, the VA may exempt it. This new limit will be a hardship for farmers. Additionally, if the residence is sold, the net proceeds will be considered a resource and count towards the $123,600 resource limit, unless the proceeds are used to purchase another residence in the same year in which the sale occurred. Finally, with the new Regulations, for the first time, the VA is implementing a look-back period. 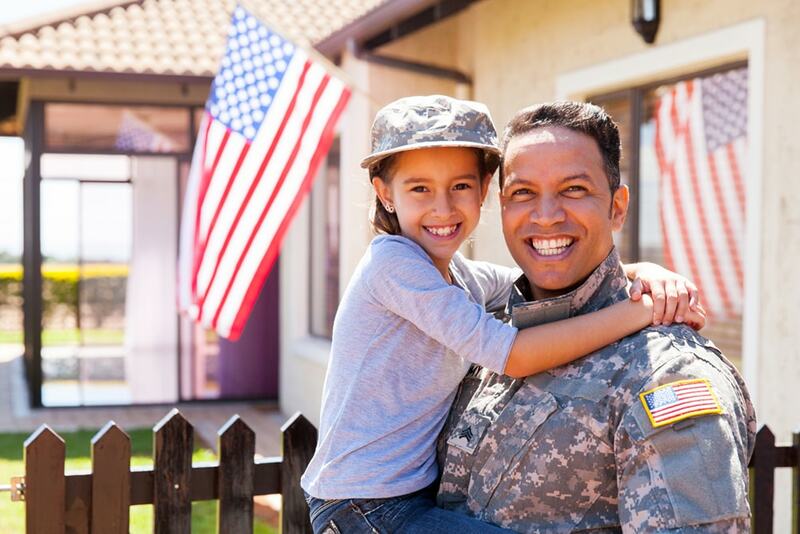 Historically, a Veteran could give her assets on a Monday and qualify for the A&A benefit on Tuesday. The VA did not look back at any gifts made. Now, going forward, applicants will need to disclose all financial transactions for the 36 months preceding an application for benefits. Any transfer of assets for less than fair market value made during that 36-month period is subject to a maximum 5-year penalty period. The duration of the penalty period will depend on the total value of assets transferred. However, if the gift is made before October 18, 2018, when the Regulations go into effect, they will be grandfathered and not result in a penalty. Also, if the applicant’s resources did not exceed the resource limit of $123,600 even before the gift, no penalty will be assessed. These changes bring the A&A benefit eligibility requirements more closely in line with current Medicaid eligibility requirements (though Medicaid currently has a 60 month look-back). Although these changes are quickly approaching, there may still be time to apply for the A&A benefit before the new rules go into effect. Also, with the new look-back, we will need to be more proactive about planning to qualify for the A&A benefit. Click to learn more about our Verterans’ Aid Benefits services, or If we can help you in any way, contact us today or call us by telephone, you can reach us at 856-489-8388. New client? Download an intake form to expedite your visit! Fill out the form below and someone from our office will respond to you shortly.